Big Mountain skier Ted Davenport took out the skiing overall Mens Champion title at the 2009 World Heli Challenge, dominating the big mountain day and the Chinese Downhill – where his ski racing background gave him the edge. 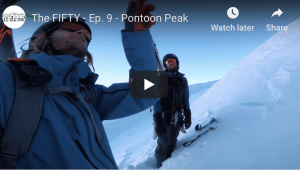 It’s been a big season for Ted, besides skiing he became the first person to skiBASE the Sam Ford Fjord on Baffin Island off the Canadian coast and bought his first house. But he’s super pumped for the 2010 World Heli Challenge. So, you just bought your first house… how does that feel? Where is it and what’s it like? Any plans for renovation/decoration/demolition? Our new house is just down the valley from Aspen, It’s a great starter home, one that will easily fit a small family Were kicking it off with a new kitchen and master bath, just to give it some personal touches. It feels great for my girlfriend and I to own our first home. It gives me a real sense of incentive to work hard and make things happen. The resort you call your home resort:? Aspen, Colorado? How did you get into skiing and what has brought you to this point in your skiing career? I started skiing when I was three years old. It was a family tradition that started with my grandparents. Having a pure joy and passion for skiing has brought me to this point in my life, skiing as much as possible and making a living at it too! You’re pretty stoked for the WHC 2010 – what is it about this event that makes it special?? The World Heli Challenge is an all-encompassing event. Not only does it highlight the specific skills of the athlete, but also gives that person an incredible life experience. You get to ride in helicopters, ski amazing powder, as well as share all of the above with great people. This event being in New Zealand is paramount to its success, capturing all the beauty and wonder that is NZ. What motivated you to sign up for the WHC 2009? I always wanted to go to NZ and had always heard of the WHC as being one of the premier contests in the world. I didn’t know I would win the entire event, which made it even that much better. With that said I am just happy to be in such a beautiful country and experience what it has to offer. The WHC demands a pretty comprehensive set of ski skills, what do you think gave you the overall advantage through the three events last year?? I think my overall ability to excel at all aspects of the WHC made it possible for me to win. I’m not a freestyle specific skier, but focus more on big mountain. The Chinese downhill was a good opportunity to showcase my ski racing background. This year there is no downhill event, so I’ll have to really throw it down during the freeride day and hopefully do well in the big mountain. Seeing the most recent starting list it’s going to be a very difficult contest. Some of the world’s best riders are going to be there and it’s anyone’s chance to win. Of the three events in the WHC, which is your favorite and why? The big mountain day is my main focus. I’m a big mountain skier at heart and it is my primary focus in my career. It’s my favorite because I believe it shows the judges just how ‘good’ a skier really is. Mt Albert is one of the sickest contest venues in the world. Hopefully we have similar conditions to last year, which were REALLY good. Have you been checking out the locations for the WHC this year? How is it all looking? It’s hard to say how the venues will look, because the snow conditions can change overnight. 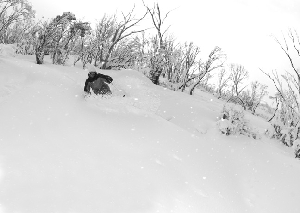 So far NZ has had a great season for snow, so hopefully that continues. I try not to focus on whether the conditions will be good or bad, but rather be ready for anything and adapt to the current conditions. Knowing what to expect now, do you have any tactics, anything you remember to do/not to do from last year? Because there is no downhill event this year I will have to pull a better result in the freeride day. This means going for the bigger, more technical tricks. Also I know what the venues look like, so I can mentally prepare for the terrain. I like to look at photos of the comp venues prior to the event and try to visualise my line. It’s funny because I’ll find myself staring at the same photo for hours on end, zooming in and trying to imagine myself skiing those lines. Winning last year, how will you step it up for this year?? I’m going into this year’s event just like last year…no pressure, relaxed and just let it roll. Sometimes a contest athlete can psyche themselves out by focusing too much on winning (I learned the that the hard way!). I’ve learned that over the years its best to just have fun and enjoy yourself. Who are the other skiers to watch in the WHC this year? Chris Booth, Tim Dutton, Sam Smoothy and Geoff Small. Apart from skiing, you into some pretty extreme sports – how do you think they all relate to each other? I get a very similar sensation from both big mountain skiing and base jumping. Each sport puts a huge smile on my face! Skiing off a 40ft cliff into bottomless powder has a very similar feeling as stepping off a 2000ft cliff with my parachute. skiBASE is where my two passions in life come completely together. I’m able to use my skills as a skier to throttle it off a massive rock wall, then my skills as a base jumper immediately come into play, safely returning me to earth. I’d have to say that skiBASE jumping is the epitome of what I love to do. What has been the all-time greatest skiing moment/achievement for you?? I can definitely say that winning the 2009 World Heli Challenge was my all-time greatest skiing achievement. What is it about skiing that has you still buckling up your boots every chance you get?? Having been on skis for 26 years, skiing comes as natural to me as walking and talking. What I love is that every day on skis is a new adventure; it doesn’t matter if I’m heli skiing in NZ or riding the lifts in Aspen. There’s something very right about sliding down snow on skis. Ski development has made it possible to do things on snow that are simply amazing. I love the clean crisp sensation that riding powder delivers, it’s as pure as anything in this world. Is there anything still left on your skiing bucket list? If so what – and do you have plans to tackle it any time soon? Oh man where do I start?! There are many places in the world that I have yet to travel to and ski. Japan is high on the list, as well as Russia. 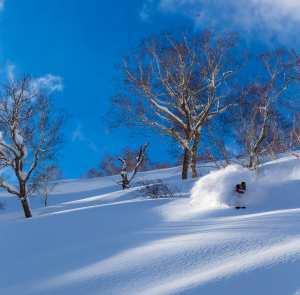 The list is endless though, there’s so many cool places to ski, I just hope to get a chance. Ted at the 2009 World Heli Challenge. Image:: Harro? Where’s the scariest place you’ve been on skis? Clicking in above a 2500ft wall in Baffin Island, about to do the first ever skiBASE in the Sam Ford Fjord. I was skiBASE jumping into a massive cove, with rock walls on either side at a 45deg angle. Pretty much like jumping into a giant box. I gotta say I was very, very scared that day. But all went well, it was sick! You’re doing things that would literally scare many people catatonic, how do you get your headspace together to commit to the tricky stuff? Prior to doing something with a high risk factor I like to go over all the contingencies, all the ‘what-if’s’. I get myself 100% prepared to step into the unknown, relying completely on my skill, preparation and gear. After all that is done, I revel in how lucky and fortunate I am to be where I am and about to do whatever it is I’m doing. And after that… I SEND IT!!! 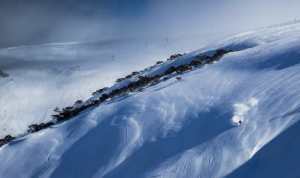 Apart from the WHC, what are you plans, skiing wise, for the 2010 and the northern 2010/11 season? I’ll be competing on the Freeskiing World Tour, as well as traveling around North America and Europe shooting film and photos and of course skiing lots and lots of powder! Next spring I’ll be returning to Baffin Island for another month of big wall base jumping and skiing. YEAHHH!!! !